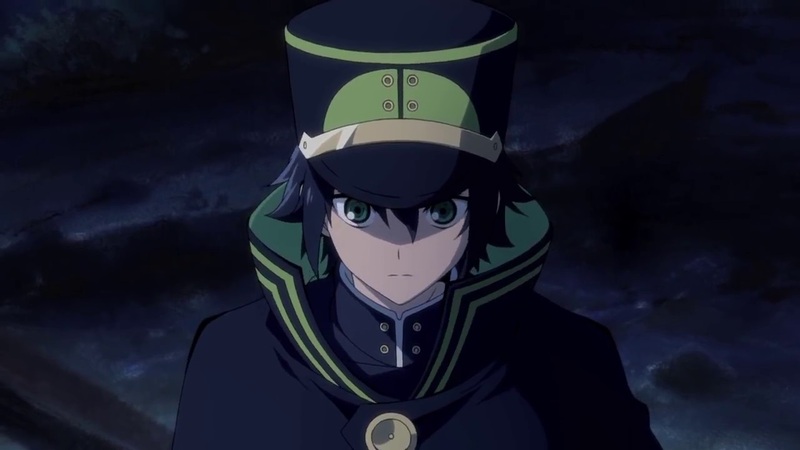 After a short period of silence Universal Pictures UK have finally revealed what to expect from the upcoming Collectors Edition Blu-ray (and Collector’s Edition DVD) release of Seraph of the End – Series 1 Part 2; and as expected it will remain consistent with the presentation style of the previous release. 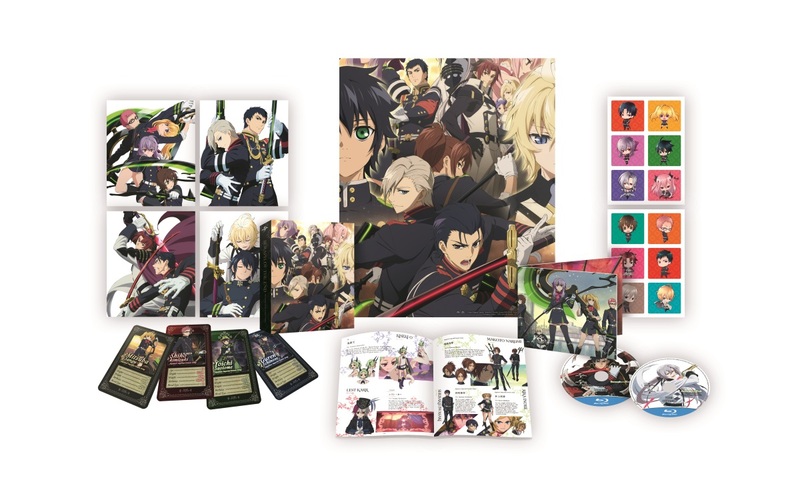 Available to pre-order from Amazon UK later this week, with other retailers expected to follow; this Collectors Edition release will contain the remaining episodes of the first season – in both English and Japanese with English subtitles – across two discs packaged inside a chipboard artbox that features artwork from this second half of the series across the front and back; a part of which is illustrated below. As with the previous Collectors Edition release fans can also expect to receive a variety of physical content; including a set of lenticular chibi stickers, a selection of art cards, character cards, a poster and a 30-page book which, I am expecting at least, to contain more artwork and information about the series. It doesn’t sound as ‘content-packed’ as the first release; but it is still to be an impressive release from Universal Pictures UK. 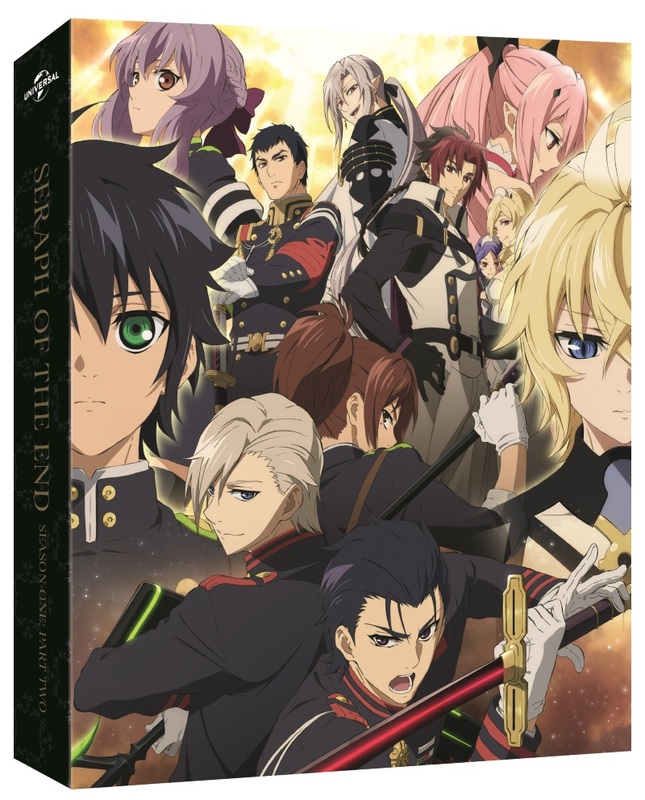 In any event this Collectors Edition release of Seraph of the End – Series 1 Part 2 is expected to be released on Blu-ray and DVD from the 5th December 2016 within the UK.